Yura Movsisyan is coming back to Major League Soccer (MLS). 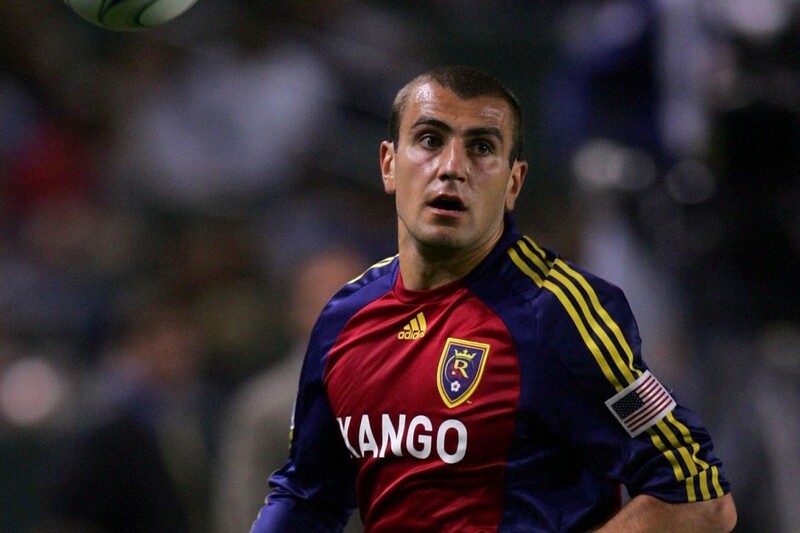 The ex-Spartak Moscow and Armenian national team striker is reacquainting himself over at Real Salt Lake. It was at Real Salt Lake City where Movsisyan’s career first took off, capped by a 2009 MLS Cup title and the revival of a franchise that went from expansion team league joke (Real Salk Lake? Seriously?) to perennial contender—and arguably the most effective and aesthetically pleasing small tactical game that the US and Canadian top flight had ever seen. Thierry Henry, in his last season at the New York Red Bulls—back before the club’s current moneyball era when Salzburg was still pouring cash into big name players—semi-famously marked Salt Lake as the best in MLS for their quick passing and swashbuckling attack. By the 2015 season, Salt Lake had been reduced to a shell of what it had been in its glorious heyday. In fairness to head coach Jeff Cassar, the team, in 2014, in Kreis’ absence, performed above expectations. The year 2015 was anticipated to be a rebuilding year when, to add insult to injury, highly touted Argentinian striker Sebastian Jaime was signed as a designated player and turned out to be a bust for the team. Movsisyan’s return to MLS is an indication of Salt Lake’s desire to solve their goal scoring problem and to recapture some of the magic that had turned the small market Royals into an MLS juggernaut that was, at one point, 45 minutes from the CONCACAF Champions League title and a berth in the Club World Cup. In Movsisyan, Salt Lake gets a modicum of frontline stability in a proven MLS goal scorer and a genuine international star with a top European pedigree. Stability is also a key concern for Movsisyan, who, despite lighting up the Russian Football Premier League and winning the 2012-13 Golden Boot, could use a recharge after being frozen out by ex-manager Murat Yakin’s Spartak sides—allegedly due to the Swiss-Turkish manager’s bias against Armenians. In Salt Lake, Movsisyan has a chance to, once again, ply his trade in the country where he grew up and developed as a player. In fact, before he committed to Armenia, the image of Movsisyan donning the red-white-and-blue was a subject of great hope in many US soccer fan circles. Along with Fiorentina forward/Italy international Giuseppe Rossi and Hertha Berlin/Bosnia attacker Vedad Ibišević, Movsisyan rounds out a who’s-who of arguably US-developed prodigies that went on to represent other countries. 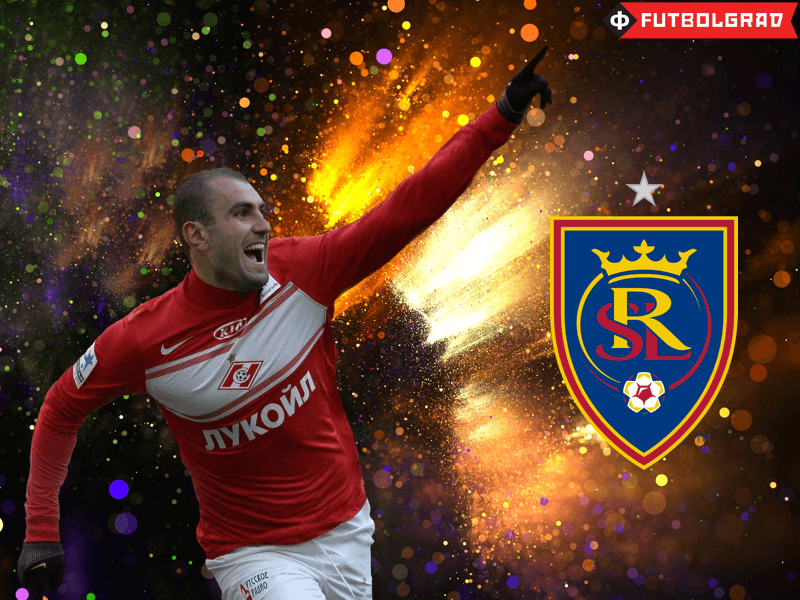 Movsisyan’s return to MLS, therefore, represents a kind of homecoming for the Pasadena-reared Armenian-American. It is also a big deal for the top US league, which has emerged as a credible enough competition, but still suffers from a tendency to throw money at aging Western Europeans. In many ways, Movsisyan coming back to Salt Lake is the kind of news that should inspire the fan bases of any non-first tier football league—and more than a few of the top tier ones as well. 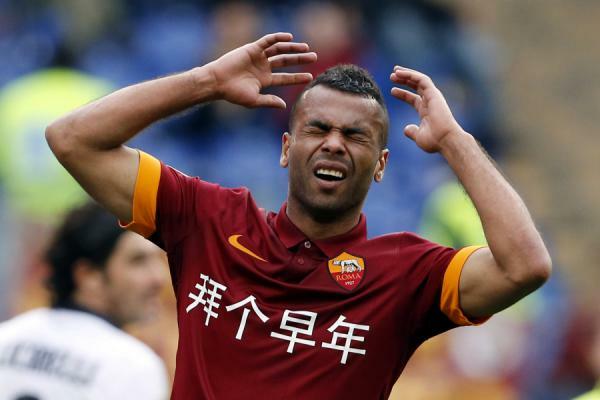 But much of the attention in the US soccer media has been gobbled up by rumors of Los Angeles’ interest in the 35-year-old MLS-bashing Ashley Cole and Dutch midfield enforcer Nigel de Jong—additions that would complete apparent LA plans to supplement player salaries with retirement pensions. But while the old dudes may get the lion’s share of off season press—last year it was Steven Gerrard, Frank Lampard, and Andrea Pirlo—it’s the younger players that inevitably shine during the MLS season amid the league’s fast and physical style of play. In 2015, the big impressions came not from the expensive, over-the-hill imports, but from the likes of MVP Sebastian Giovinco (28), Mexican national teamer Giovani Dos Santos (26), West Ham import Sebastian Lletget (23), dynamic Canadian rookie Cyle Larin (20), and Dallas-turned-Colombia star Fabian Castillo (23). Movsisyan, at 28, still on the right side of 30, with plenty of good years left in the tank, has all the qualities needed to be a major contributor in 2016. Yura Movsisyan’s return might also pave the way for more eastern European representation in North American professional football. For the most part, MLS scouting networks have tended to mine for talent in the Caribbean, Central America, Mexico, and South America. But as far as regions go, Eastern Europe is brimming with low-priced, high-skilled talent. The falling Russian economy and a simmering war in eastern Ukraine makes the region a buyer’s market. And for Eastern European players, North American football offers a level of stability that would be hard to find in their home countries, and even in some Western European leagues. But that’s for later. For now, Yura Movsisyan’s return is a welcome reprieve for the Salt Lake faithful, who are eager that the team return to their winning ways. He is also a strong addition for the league as a whole, and Movsisyan ought to be an early bird gambler’s dark horse for the MLS All-Star game this coming summer. And Armenian fans, if they pay attention, might also find something to like in the league, which has not only catapulted Movsisyan’s international career, but has also reinvigorated more than a few national team careers as well. All in all, it’s good to see Yura back again.